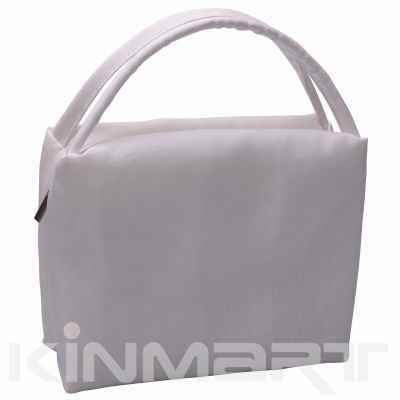 Description : We think this Cosmetic Tote is great choice when you merely want to take some makeup cosmetic essentials with you outside; and also it's good promotial makeup tote gift, as it has a large area personalizable by by imprint, emborider, and even sewn with a rubberized logo! Different Colors are available, basing on personal fond of colors, by changing the fabrics to others or other colors. Further Customization can be achieved by changing the main fabric, as well as zipper pull, and Colors. Try to use <Personalize A Logo> or <Custom Bag More> to quick realize your design. Available in many colors, such as white,black, red, blue, pink, grey, etc. available to load makeup cosmetic essentials with properly organized..
Other question, check the FAQ on the right column.